The Art & Science of Animal Tracking Workshop with Chris Bernier on February 10th was a sweet success despite the deep, fluffy snow that had recently blanketed the land. Bernier led the 3-hour workshop for a small group of participants on his expansive property in Andover, Vermont. 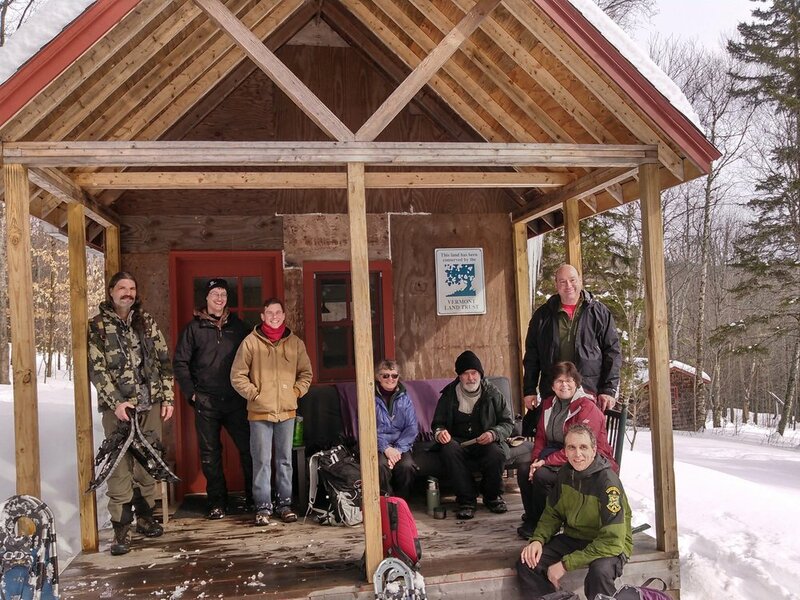 Folks met up in Bernier's cozy cabin, a perfect spot to meet before foraying outside to uncover the secrets of the snow. 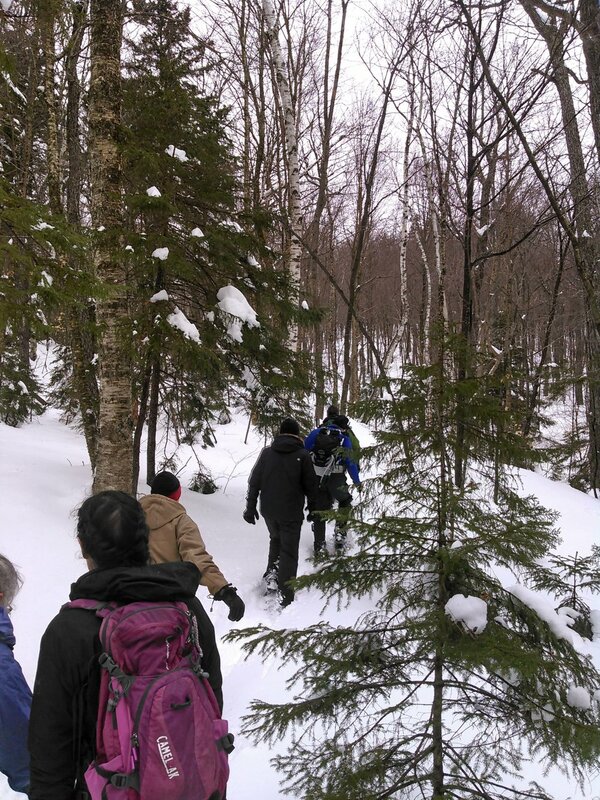 The group trekked through the snowy landscape, discussing habitat types, animal tracking tips and tricks, forest management, and land conservation. En route to retrieve a game camera that Bernier set up weeks ago, the group passed through varying terrain and kept a sharp lookout for the animal tracks that Berrnier was able to point out along the way. On their return to the cabin, the group was able to take a look at some of the photos. Nature Museum's Senior Educator, Jay DeGregorio, elected to join the group and he reported back on their sightings, “We saw fisher, squirrel, vole, and mouse tracks. We also saw black bear and bobcat scratch markings on a tree. We visited two game camera monitoring sites and learned about how and why these monitoring cameras are set up. We briefly went through the photos with Chris upon returning to the cabin. There was a fisher and a white-tailed deer in a few of the photos." We really enjoy developing adult programs like this one that highlight nature advocates with real expertise to our community. Chris spoke to an audience of over forty people Thursday night on the comeback of the marten, before this field workshop on Saturday morning. This event was a part of our adult speaker series. Past "Talk and Walk" style combination events have been led by Ari Rockland-Miller, Michael Phillips, and Ross Conrad.